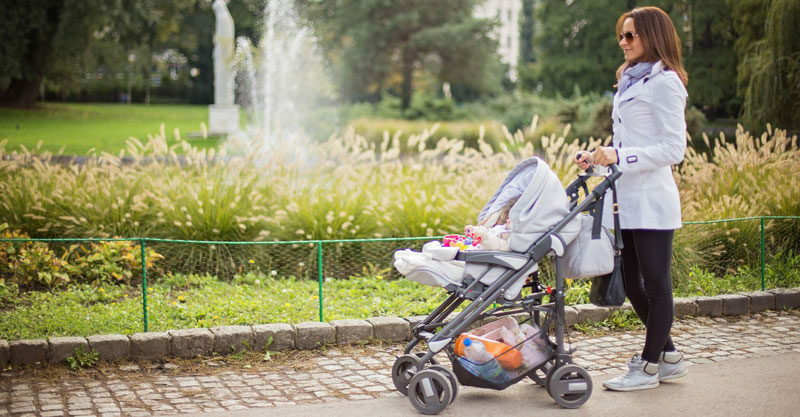 Comfortable days out with your baby, your pram and a spring in your step! A pram needs to be all-season. It has to protect your baby from the winter chills but also the scorching summer sun, because the day’s weather shouldn’t stop you from getting out. We’ve rounded up the best accessories designed to keep your little one comfortable, no matter what the day is doing. A pram is so much more than just a mode of transport. We all know how healing a lovely stroll in the fresh air can be when you’re both feeling a little cooped up at home. Even if it’s windy, sprinkling, or feels a little warm outside, the right accessories will keep your bub one happy little traveller. A cozy foot muff will keep your little one’s feet toasty warm, even in the middle of winter. Plus, he’ll look like a little grub in a cocoon! Cute. We love Mutsy’s EVO Footmuff in Industrial Rock colour, but you can get a muff in whatever colour suits your pram. A pram liner not only cushions your baby’s body, it also adds another layer between your little one and the outside of the pram which is exposed to the elements. We think a liner is a must-have – not least because they are usually washable! This Outlook Pram Liner (which comes in a bunch of colours, including this pretty mint green) is perfect for protecting your pram from your bub’s spills and accidents! How cute is this battery-operated Vee Bee Breeze Clip on Fan?! The soft blades are safe for your baby’s chubby little fingers and it will keep him cool on those hot days by keeping the air moving. It’s portable too, so you could also clip it on a bouncer or play gym. Clouds looking a little grey outside? No worries. You can still push your baby to the local cafe even in the rain by squishing a raincoat for the pram into the bottom of the stroller. We love the Outlook Shield a Babe Raincover for four-wheeled prams and the Safety 1st Universal 3 Wheel Raincover for tri-buggies. New baby skin is delicate and burns easily, which is why a good sun cover that will protect skin from the sun’s harmful rays is a must. The Mutsy EVO UV Suncover is easy to attach to your stroller and will keep that burning sun, as well as the bugs, away from your precious bundle. All babies love soft things and so a pram blanky is perfect for your bub to cuddle while being zoomed around. Plus, it will keep her warm in winter. Be warned though, blankies have a habit of becoming favourite comfort items, so you may need more than one! 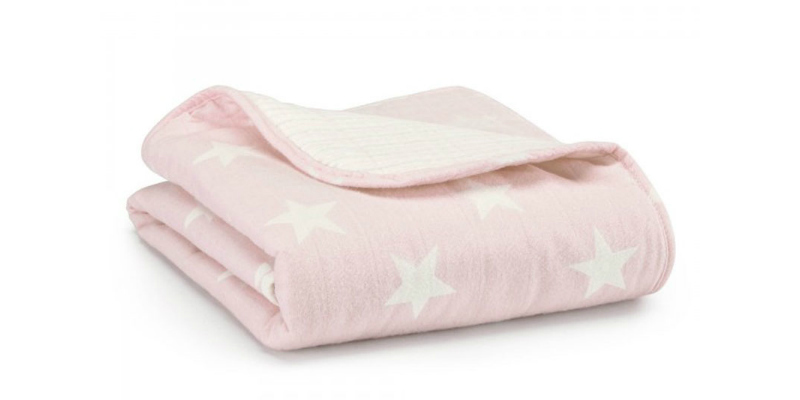 We love the Aden + Anais cosy muslin stroller blanket. While most prams these days come with a decent shade hood, there are times when you wish they were just a little bigger to block out that one stream of sunlight. This is where a handy clip-on brolly such as the Mutsy EVO Urban Nomad is a great idea.